Sozio is New England's leading retailer of 1950s collectibles, 50s and 60s retro and vintage fifties furniture. 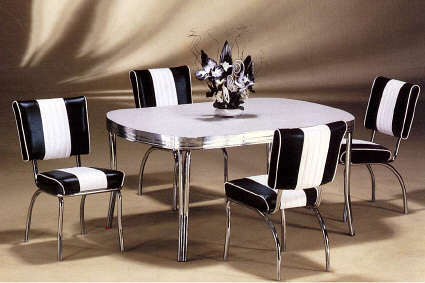 Offering the best selection of 1950's dinette sets, 50s bar stools, and kitchen sets; Sozio's vintage collection includes: art deco, pub sets, Elvis Presley, 1950s soda fountain sets, Coca-cola and Betty Boop novelties. Browse our inventory and see for yourself. BelAir, an exciting new collection, reminiscent of the 50's.